With the end of summer nearing, it is important to remember some driving tips to make sure you stay safe on the road. Generally winter gets most of the attention, but fall can have some hazards that you must be on alert for. So while you are out and about picking up your Pumpkin Spice Latte, keep an eye out for these road hazards. 1. Leaves: Normally, leaves do not pose a threat to drivers. But when they fall to the ground and become wet, they can be slippery. Be mindful of taking a corner too quickly, especially if it is littered with damp leaves. 2. Glare: With the days getting shorter, you may find yourself on the road during sunrise and sunset. This will necessitate the use of sunglasses or visors to make sure you are not blinded by the beauty of the rising or setting sun. 3. Tire pressure: Falling temperatures in fall can be problematic on tires that are not properly inflated. Make sure to have your dealer check or use a tire pressure gauge to make sure your tires are at the perfect pressure. 4. Halloween: Don’t forget about that special day where all of the kids hit the streets to gather as much candy as humanly possible. October 31 requires extra attention to keep everyone safe. 5. Windshield Wipers: With fall comes rain and with rain comes a need to use your windshield wipers. If your blades are cracked or not making proper contact, your vision can be hampered. They are a quick and inexpensive fix. 6. Frost: When driving early in the morning, be mindful of frost, which can make road surfaces slipperier than normal. Check the forecast and if you notice a temperature below 0 degrees, there is a good chance of frost on the road surfaces. 7. Road Safety Kit: It is always good practice, no matter the time of year, to have a road safety kit in your car. This should include mechanical items that can help in the event of a flat or breakdown, items to keep you warm, hydrated and fed and items to help you contact help in the event that you lose cell phone reception. 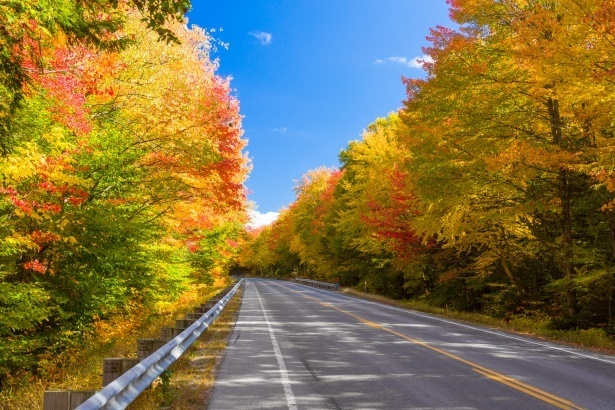 To make sure your car is ready for fall, be sure to bring it to the Certified Service team at Eagle Ridge GM who can make sure it is ready for all of the outings this Autumn!